Cerise Queen Yarrow is one of the darker pink yarrows. This deep rich pink color is best for hot summer areas where lighter pastels fade to cream. The species name millefolium, or thousand leaves, is a reference to the frilly cut-out shape of the leaves. All yarrows are important beneficial insect plants. These beneficial insects not only help keep the bad bugs in check but also provide food for other wildlife. 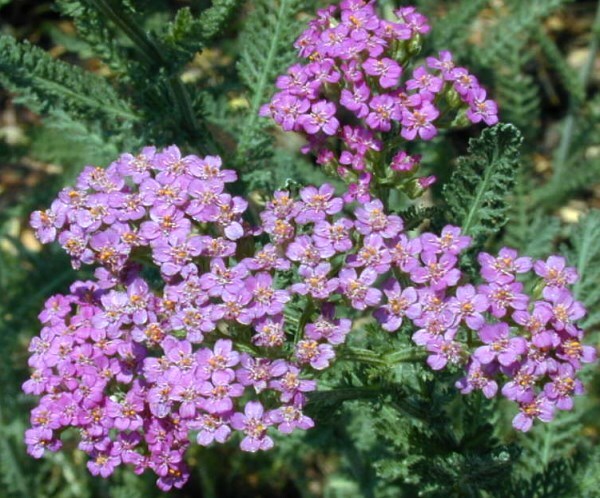 Cerise Queen Yarrow is included in our Wildlife Herb Garden Six Pack.